WASHINGTON — As the U.S. Army’s Multi-Domain Operations concept continues to evolve and be tested, the service is finding three key areas to focus on ahead of any major conflict. Lt. Gen. Eric Wesley, the head of the Army Capabilities Integration Center, told reporters Dec. 9 that as his office continues to experiment with the MDO concept and war game it out, a focus on the “competition space” — the time before a conflict breaks out between two sides — will put the Army in a strong position to dictate the flow of how a conflict will play out. “Leveraging the competition space, we found, is the most important aspect of getting the conflict portion right. That’s something that we have to expand our capabilities in, and we’re not completely postured to do right now,” Wesley said. 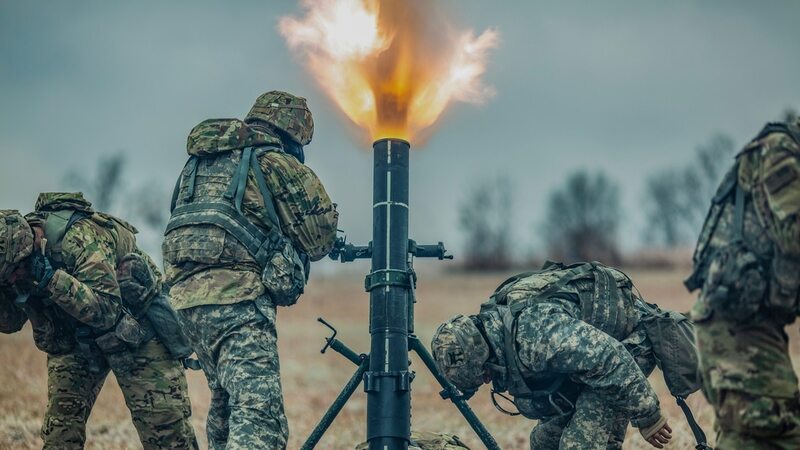 How can the Army evolve its major operational concept and align its modernization strategy with the multidomain battlefield? The first focus area is on countering information warfare and unconventional warfare, Wesley said, in what will not come as a surprise to those who have paid attention to what Russia has done in recent years. The second area of focus Wesley calls “conducting the intelligence preparation of the battlefield.” At its core, this involves studying the enemy order of battle and understanding how a conflict may flow. And if that seems like a classic tenet of combat to you, Wesley wouldn’t disagree. Wesley’s team has had a busy year, developing and testing their ideas while publishing MDO 1.5 and switching from being under Training and Doctrine Command to the Army’s new Futures Command. Despite that move on the organizational chart, ARCIC has stayed at Fort Eustis, Virginia, and remains geolocated with TRADOC, which has helped mitigate unnecessary duplication of overhead. What’s standing in the way of multidomain operations? Several hurdles remain for multidomain operations. So what are the U.S. armed services doing about it? By having TRADOC continue to manage basic administrative issues such as personnel, travel and orders assistance, ARCIC is able to focus on using its limited staffing where it’s most needed. As part of the move to Futures Command, ARCIC is in the process of standing up three new groups: an internal Red Team, an Operational Environment section, and a 3/5/7 office modeled on the service’s operations and planning general staff position. “We’re not just moving deck chairs,” Wesley said. “Instead, we’re also having to evolve our culture and change our organization so that its sufficiently nested” within Futures Command. Asked if he was worried about people in ARCIC having too many bosses, Wesley waved those concerns away as unrealistic. Sometimes “having one boss is a luxury that is impractical. And particularly when you’re talking about [the need to] modernize across the entire enterprise — not just material modernization but doctrine, organization, training, leader development, policy, facilities, personnel,” he said.